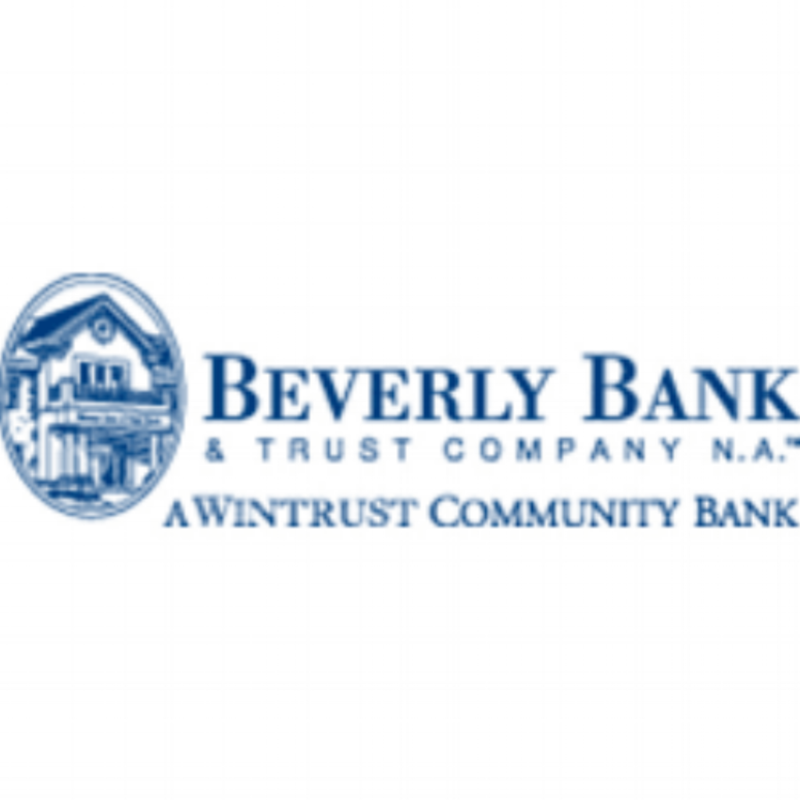 Mariyana Spyropoulos, Commissioner of the Metropolitan Water Reclamation District of Greater Chicago will discuss the importance of water conservation of our greatest natural resource, water actually is. The Cook County Department of Homeland Security and Emergency Management (DHSEM) is committed to strengthening security by creating partnerships with state and local governments, transit agencies and the private sector and, most critically, the communities they serve. At this meeting, John Kiser, Regional Coordinator for Cook County Homeland Security & Emergency Management, and other members of his team, will discuss the County’s security & emergency management programs, answer questions regarding “what to do” when emergencies occur, and provide a tour of their Oak Forest Operations Center. SPACE IS LIMITED---- RESERVATIONS ARE REQUIRED! On March 6th, the Calumet Area Industrial Commission welcomed back William Strauss, Senior Economist with the Federal Reserve Bank of Chicago, for his annual presentation on the current status & projections for the U.S. & Midwest economy, including the manufacturing sector. To review his presentation, please click on the below link. A Half Century & Going Strong! How do we take the “City of Tomorrow” from fantasy to reality? Populations are steadily climbing, with most concentrated in already jam-packed cities. Moving from one place to another is getting more difficult, and aging transportation systems are failing. Solutions are needed to maintain people’s freedom to move. CAIC is excited to announce that John F. Kwant, Vice President, City Solutions, Ford Smart Mobility a subsidiary of Ford Motor Company will be its Annual Luncheon keynote speaker. John, whose resume includes several prior key U.S. & international leadership roles at the company, now leads Ford’s global efforts to partner with municipalities to help bring the “City of Tomorrow” to life by identifying key urban mobility needs and developing & implementing solutions in cities worldwide. To truly understand what a city needs to move people & goods more efficiently, the discussion must focus on a wide range of issues facing cities, from modernizing power grids to implementing new technology such as autonomous vehicles. John’s presentation is a “not-to-be-missed” event! Attend this event to hear the latest on Calumet Area environmental issues and challenges facing the Illinois EPA! Alec Messina was appointed Director of the Illinois EPA on July 1, 2016. Director Messina previously served as the Policy Advisor for Environment and Energy in the Office of Governor Bruce Rauner, where he was the Governor's liaison to six state agencies. He also served the IEPA as Chief Legal Counsel from 2005-2009. He also has served as General Counsel and Executive Director of the Illinois Environmental Regulatory Group. CAIC's 30th Annual Outing & Dinner will be held at Silver Lake Country Club in Orland Park on Friday September 15, 2017. The day will begin with an 8:00 a.m. registration & continental breakfast, followed by a 9:00 a.m. shotgun start. Contests will include a "Beat the Chairman" hole and a Joe-Rizza-Ford-sponsored Hole-in-One opportunity. The day will conclude with an open-bar, trophies, door prizes, raffle prizes and a fantastic dinner. 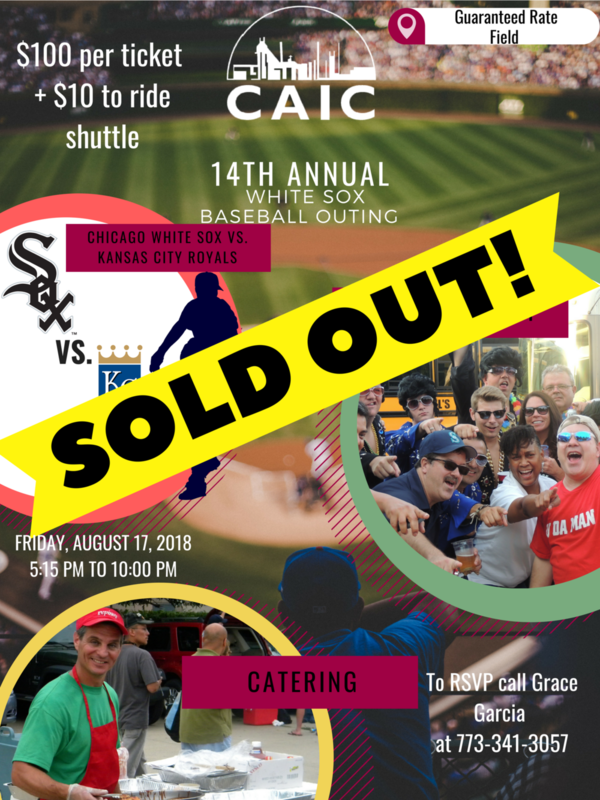 On June 23, 2017, CAIC will host its Annual White Sox Baseball Outing. This event will start with a catered Tailgating Party at 5:15 p.m., followed by the White Sox vs. Athletics baseball game. As is always the case, the 100 tickets will sell out quickly so move fast if you want to attend. CAIC is a co-sponsor of IWWSG's May 24 cruise of the Chicago River aboard the Summer of George. 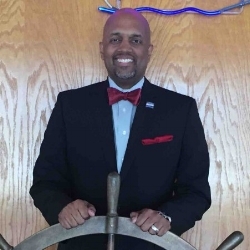 The boat will board at 5:15 p.m. from River City Marina, 900 S. Wells ($10 parking is available) and cruise 5:30 p.m. to 8:30 p.m.
Dinner will be a buffet consisting of two entrees and pasta, plus salad & cookies; a cash bar will be available. The cruise speakers will be Kara Riggio and Madeline Sheperd, representatives of the Metropolitan Planning Council, which coordinated the recently-completed "Great Rivers Chicago" vision for the City of Chicago, Friends of the Chicago River, and Chicago Metropolitan Agency for Planning. Make your reservations now! Mr. David Dillon MBA, JD., Partner in the law firm of Dillon & Nash Ltd. will provide ideas on how to understand your real estate assessment so that you pay only your share. The firm limits their practice to real estate tax minimization. Be introduced to the innovative technologies and services that Purdue University Northwest has available for industry in the region. Tour the Commercialization and Manufacturing Excellence Center (CMEC) which includes Robotics and PLC laboratories and serves as a catalyst for economic development and technological transfer throughout the region and provides advanced manufacturing opportunities and related training for manufacturing companies of all sizes. Visit the Center for Innovation through Visualization and Simulation (CIVS), globally recognized for its integrated and application-driven approaches through the state-of-the-art simulation and virtual reality visualization technologies for providing innovative solutions to solve various university research problems and industry issues. At the Chicago Federal Reserve, Mr. Strauss has produced the monthly Chicago Fed Midwest Manufacturing Index, which estimates the Midwest's manufacturing output. His research papers have focused on such topics as our regional economy, the automobile sector and the trade-weighted dollar. Before the U.S. Senate, Mr. Strauss has presented testimony on manufacturing issues. 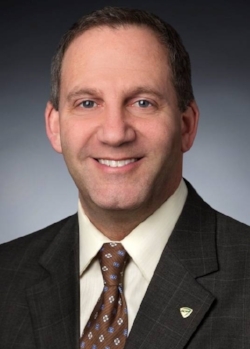 Mr. Strauss currently teaches at the DePaul University Kellstadt Graduate School of Business and at the University of Chicago Graham School of General Studies. David St. Pierre, Executive Director of the Metropolitan Water Reclamation District of Greater Chicago, explained, in detail. the old approaches used to address flooding in the metropolitan region. The process could best be described as "How big of a hole? How big of a pipe?" Charged with the responsibility of solving all flooding problems in the region and facing budget constraints, a new approach is being developed that looks at the targeted area as a whole and designs solutions that are creative and enhances the communities where the flood control solutions are implemented and at a fraction of the cost of traditional methods. Tom Hulseman, Managing Director of Metro Chicago Exports, will present on export initiatives impacting the greater metropolitan region. 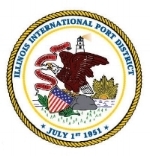 Metro Chicago Exports is a regional collaboration between the seven counties in Northeastern Illinois (Cook, DuPage, Kane, Kendall, Lake, McHenry and Will) and the City of Chicago to increase exports from small and mid-sized enterprises (SMEs) and to support regional job growth. On January 18, 2017 CAIC held its 2017 Kick-Off Luncheon at the Alsip Double Tree. Over 70 attendees heard Joseph Szabo, Executive Director of the Chicago Metropolitan Agency for Planning (CMAP) speak about the seven county comprehensive plan under development including the process being used to capture input from stakeholders in the region. While local planning is important, with 284 municipalities in the region, Mr. Szabo demonstrated that it is crucial that a comprehensive regional plan be in place in order to address issues that span the region. Kathy Webb, Area Director at OSHA's Calumet City Office, will be in attendance for the CAIC Human Resources Committee meeting at 8:00 a.m. at US Bank. She will provide an "OSHA Update", including the latest info on the anti-retaliation provisions of OSHA's new injury and illness tracking rule. Attendance at this Committee meeting is limited to CAIC manufacturing members only, and we would recommend that those members consider having their safety and/or human resources person attend. 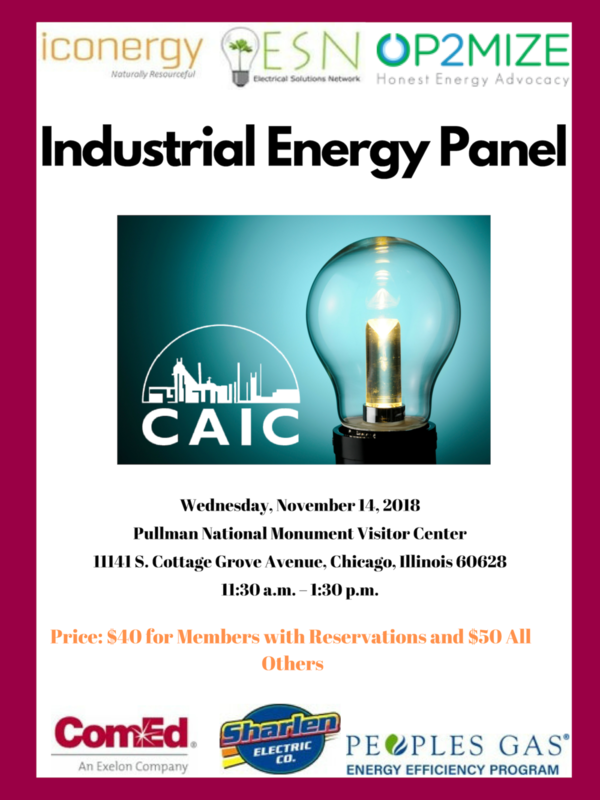 Please RSVP with Tom DuBois at 773-341-3060 or tom@calumetareaindustrial.com . On December 9, 2016 CAIC held its 49th Annual Luncheon at the Beverly Country Club. Approximately 200 attendees heard Gene Larkin, Director of Lanigan Holdings, LLC, give the keynote address about the development of the Mi-Jack Products company. His presentation was accompanied by the video “Following the Dream”, which showed how, in 1954, from his home in Dolton, John Lanigan envisioned a “better way”. Over time, Mi-Jack became a multinational corporation providing machinery and solutions for the transportation and material handling industries worldwide. At the luncheon, two Kenneth L. Brace Memorial Awards, named after CAIC’s first Executive Director, were awarded. The first recipient was Mi-Jack Products, in recognition of a visionary industry leader that has strengthened and transformed the intermodal transportation industry regionally and worldwide through technological innovation and exemplary service. The second recipient was Indiana Harbor Belt Railroad, in recognition of its effort to minimize diesel exhaust emissions and enhance transportation economics through its program to convert its entire locomotive fleet to compressed natural gas fuel. This year, the Chairman’s Award, was presented (below) to Al Raffin, of Raffin Construction, for tremendous support and participation in CAIC and its functions throughout many years.